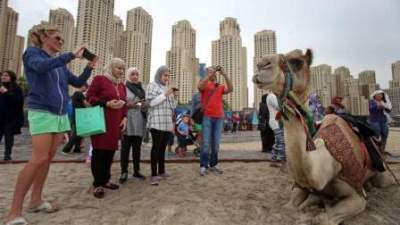 The Federal Tax Authority (FTA) on Wednesday approved a refund scheme for tourists under which outlets and points of sales across the UAE will be connected to the refund system. During its fifth meeting, the FTA said the number of businesses registered for VAT had surged to 281,000 while 637 have registered for excise tax. Tax experts said the refund system is likely to be implemented soon and could be a mix of what is currently prevalent in Europe and Asia. According to Mayank Sawhney, managing director, MaxGrowth Consulting, different tax refund systems currently work in different countries. "In Europe, you can get tax refund only at the airport when leaving the country. In Japan, tourists can get refunds immediately at retail outlets while shopping after submitting certain documents such as passport or outward travel air ticket copies, etc. In the UAE, it seems it will be a blend of what happens in Europe and Japan," Sawhney said. "In Japan, you go to any authorised retailer to do shopping and tell them that I am a non-resident, they will take a copy of passport, outward travel air tickets, undertaking letter, etc and will not charge VAT. But there are outlets, which are authorised to refund VAT as well," he added. "In the case of UAE, I think over a period of time, there will most likely be authorised points at airports as well as some selected points outside the airport such as certain money exchanges to get tax refund after submitting documents and evidence required that all conditions for being entitled to claim refund as a tourist are fulfilled. So these are some of the options the FTA may be considering, because they will not want long queues of tourists at UAE airports waiting to get refund, given the huge number of tourists who come to UAE every year," Sawhney said. To claim tax refund, the tourists should carry original passport to be shown to authorised retailers at the time of shopping and not just carry a passport copy if they want authorised retailer not to charge Consumption Tax to them.Sawhney expects this system to be introduced soon in the next couple of months. Nirav Shah, director, Fame Advisory, believes the UAE would register each of the retailer as part of the tourist refund scheme or a designated refund processing centre in each shopping mall. "The retailers will be able to directly issue refunds to tourists when they are buying the goods subject to the guidelines provided by the FTA. Guidelines will be issued for retailers to get registered and they will have to follow certain process for issuing any such tax refunds. It means, the retailers will have to retain a copy of tourist's passport or visit visa, etc. as a proof to submit to the FTA for tax refunds," he said. Shah expects the tourist tax refund scheme to be implemented by third quarter, depending on how stringent guidelines are. Anurag Chaturvedi, partner, Crowe Horwath, believes that the tourists will be able to claim their refunds for sure from airports, from border posts, sea ports and all major ports custom terminals. He expects the tourist tax refund scheme could be implemented by the end of second quarter of 2018. Deepak J. Babani, executive vice-chairman of Eros Group, hailed it as a positive step as the move will help Dubai regain its attraction as a shopping destination. He said Dubai had become slightly more expensive than Hong Kong and Singapore but with the tax refunds for tourists, it will regain its status as a top shopping destination for tourists.